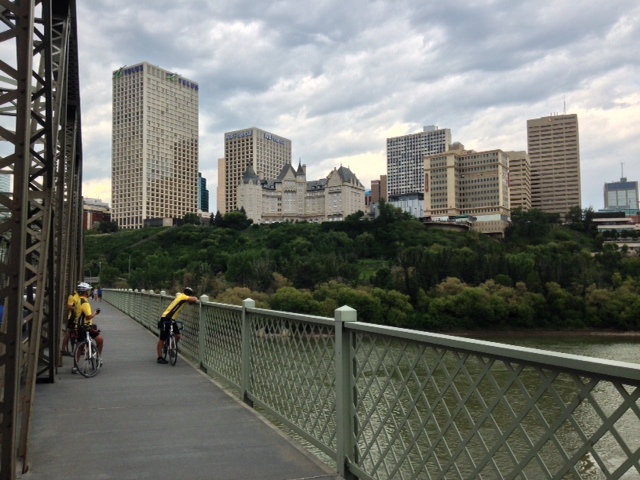 We started the day a bit overwhelmed because we had 204 km to put in to get to Edmonton. Plus we had a TV interview with Global TV scheduled at 6:30 pm, which was wonderful but did add to the pressure to make a fast trip to Edmonton. 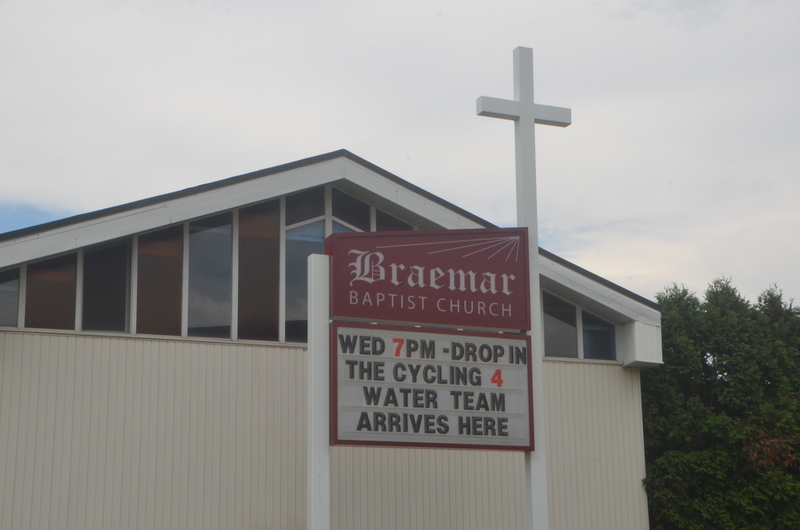 We had three people join us for a ride along in Edson. We had a strong wind at our backs which was more up and down than we expected. We put in about 120 km by our lunch break. 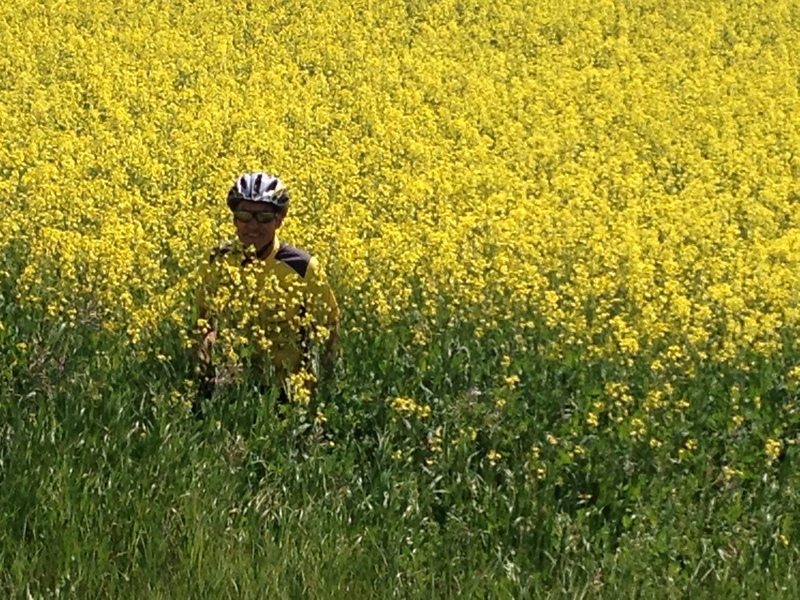 We even had time for a fun shot of Rob in a canola field, blends right in don’t you think! 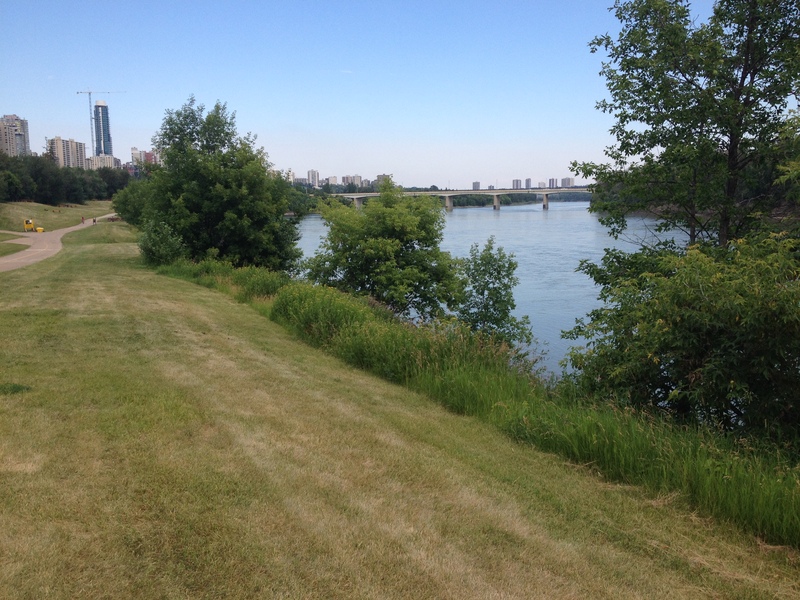 We took the bike path though the river valley in Edmonton. Here’s a shot of downtown, what a beautiful city. We were welcomed to our speaking location by this sign. We did make everything on time and my dear friends Fred and Annette brought us the most delicious dinner delivered to parking lot of the church. 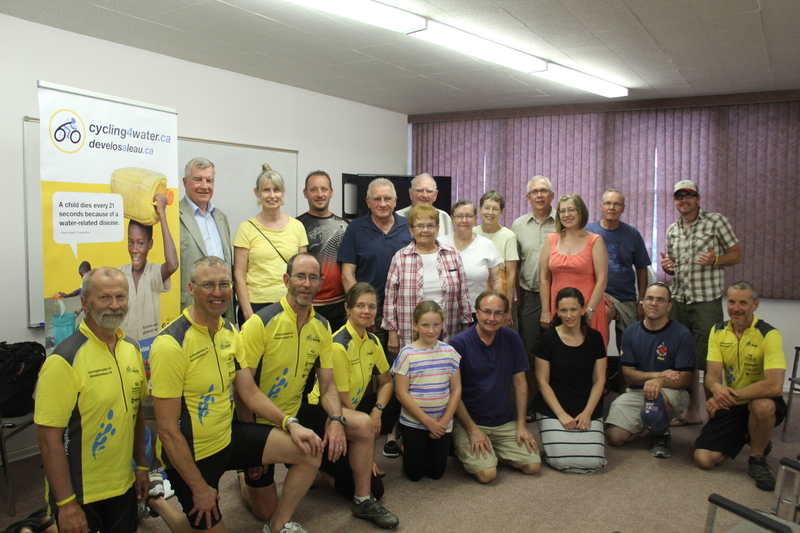 A good group of friends and family joined us for our presentation plus MP Laurie Hawn joined in and had some words of encouragement for us. Mike, Rob and team. So proud of you all. So inspired by all you are doing. Know we are rejoicing on the first 1000 km’s!! Praying for you all.